Half-hidden a few meters away from Campo de’ Fiori is a small street that connects Piazza del Biscione with Via di Grottapinta: Il Passetto del Biscione. This covered walkway has seen over 2000 years of history. In fact, the Theater of Pompey, which was built between 61 and 55 BC by Pompey the Great, was located in this area. Pompey was a mercenary captain who, thanks to his many military victories in the Middle East, became famous and later became a consul. It was here that Julius Caesar, a once ally and eventual adversary of Pompey, was killed at the foot of his statue. 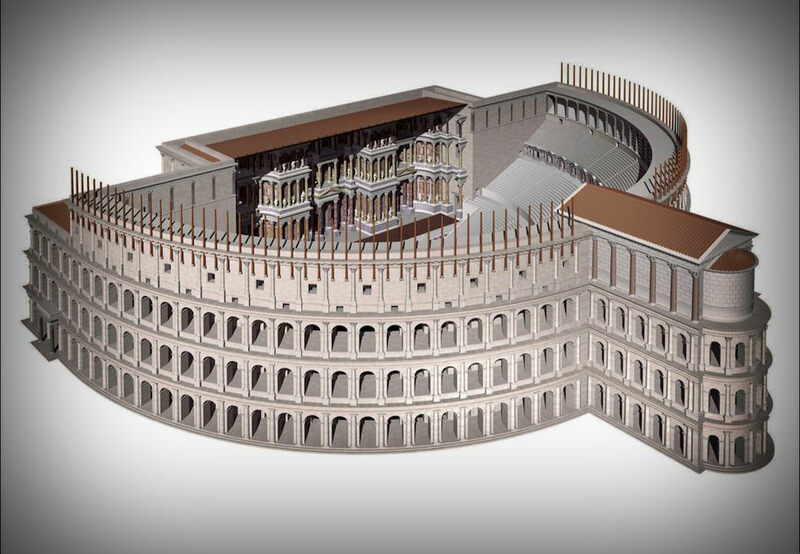 Pompey circumvented the laws of the time, which forbade the construction of permanent theaters, by instead building a temple dedicated to Venus Victrix at the top of a large semi-circle set of stairs. With this layout, the stairs formed the seats of the enormous theater, that had a diameter of 150 meters and could hold up to 30,000 people. The shape of the theater can still be found today, with Via Grottapinta following the shape of the inner part of the stadium, and Via del Biscione and Via dei Gubbonari following the shape of the outer part. In the Middle Ages, like many other Ancient Roman buildings, the theater became a quarry for construction material and other buildings were constructed on its foundations. Among these was the house of the Orsini family and even two churches: Santa Barbara dei Librai and San Salvatore in Arco, which would later be renamed as Santa Maria in Grottapinta. 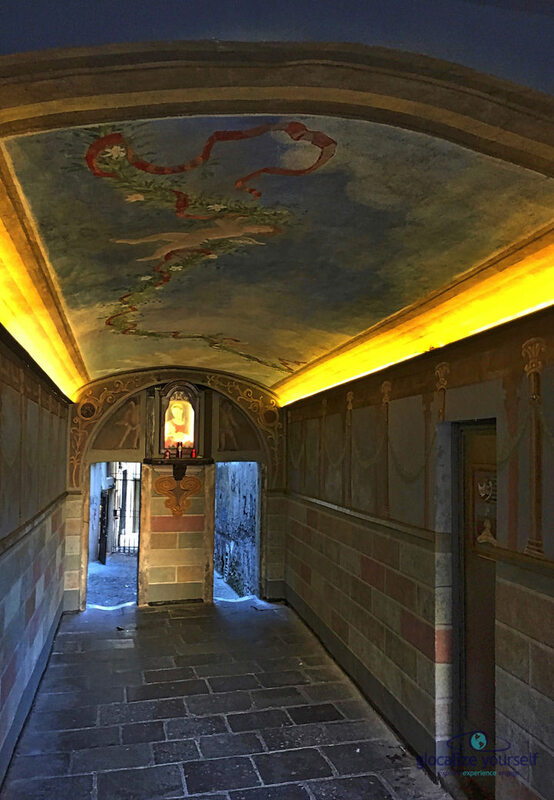 The latter was built from one of the many corridors and rooms that made up the theater and that were decorated with ancient frescoes. The church was annexed onto the Palazzo built by the Orsini family on top of the exact location of the Temple of Venus. Therefore, it was possible to access the church directly from the Palazzo where many guests from noble families often stayed, including the famous Lucrezia Borgia. The church held a painting depicting The Madonna of Divine Providence by Scipione Pulzone from Gaeta. 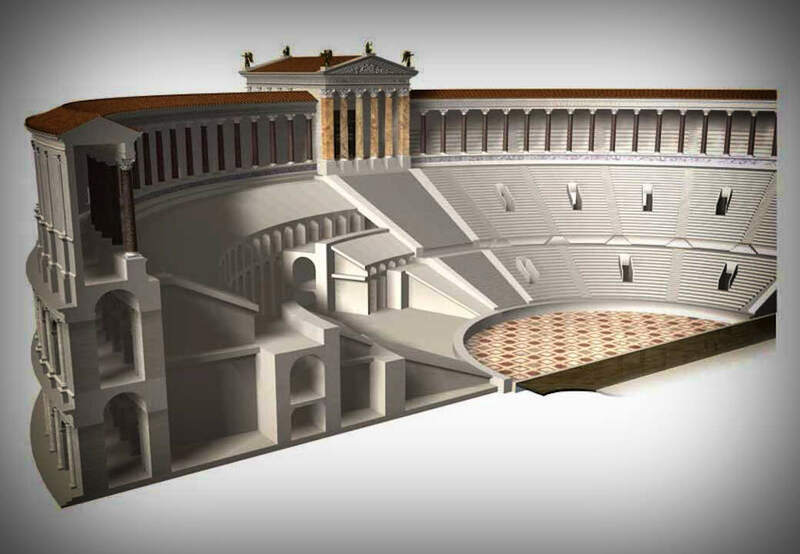 It was later moved to a shrine in a recess in the wall next to the gallery named Passetto del Biscione, that connected the arena of the Theater of Pompey with the outside in ancient Roman times. The 9th of July, 1796, the eyes of the Madonna moved as if it was suddenly awake, opening and closing, and following the people in the crowd which had gathered with great excitement at the announcement of the miracle. This continued for a while and then she closed her eyes and it stopped. However, it seemed that her skin had a bit more color to it than before. In fact, in those days, this happened to many other sacred representations of the Virgin Mary and not only in Rome. 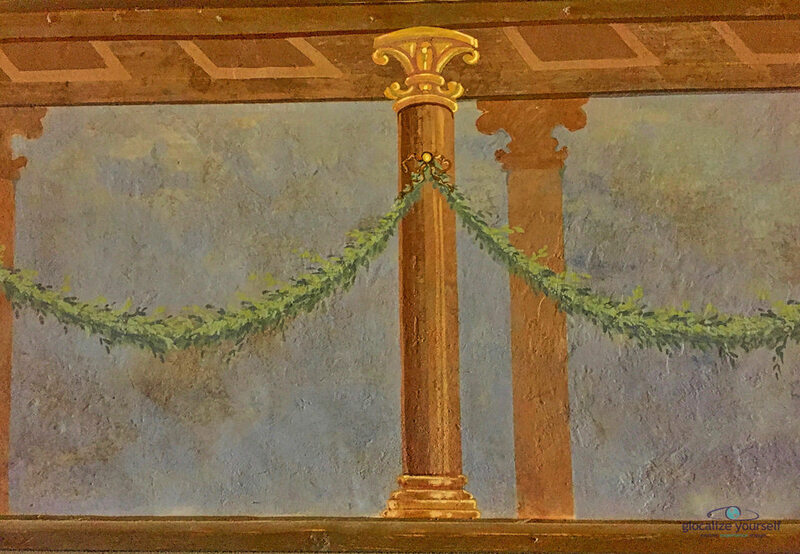 To provide a more dignified setting for the shrine which held the painting, one of the two entrances of the Passetto was partially closed, which is how you find it today. 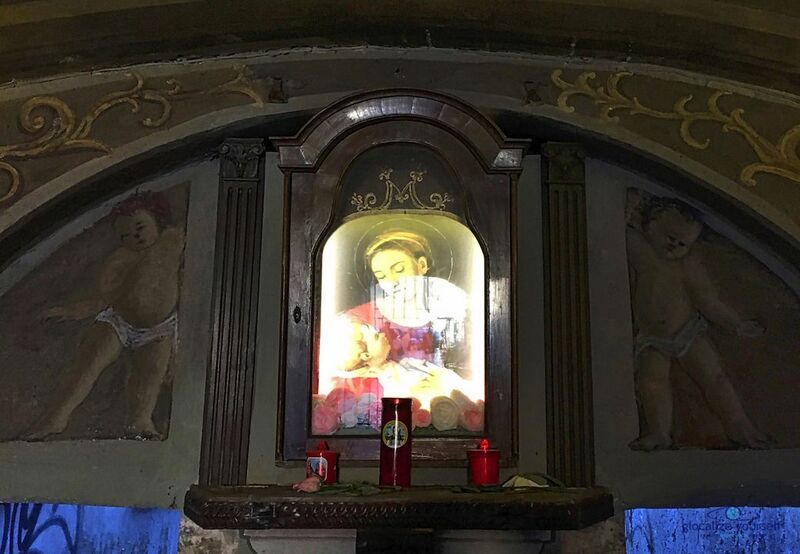 Following a bloody incident in Santa Maria in Grottapinta, the church was deconsecrated. 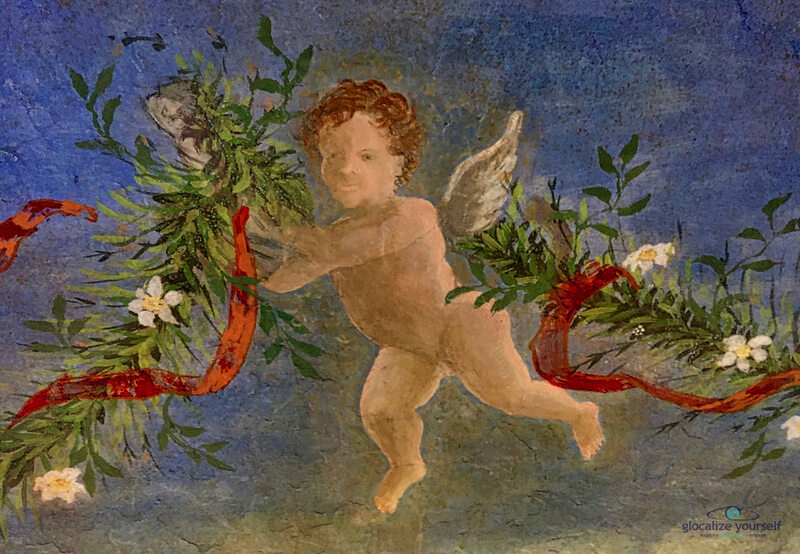 The original sacred painting was brought from the Passetto to the church of San Carlo ai Catinari and in its place many other sacred images were installed that were eventually damaged or stolen. The Passetto itself became a dark and dirty place. Today the old church has been given to the Orsini Chapel Study Center, which is a cultural center and a school for the arts and anthropological research. The façade of the church has been under restoration for quite a while now, but is not yet finished. In 2013, the director of the Orsini Chapel Study Center, Roberto Lucifero, asked for permission to restore the Passetto del Biscione at the expense of the Center. 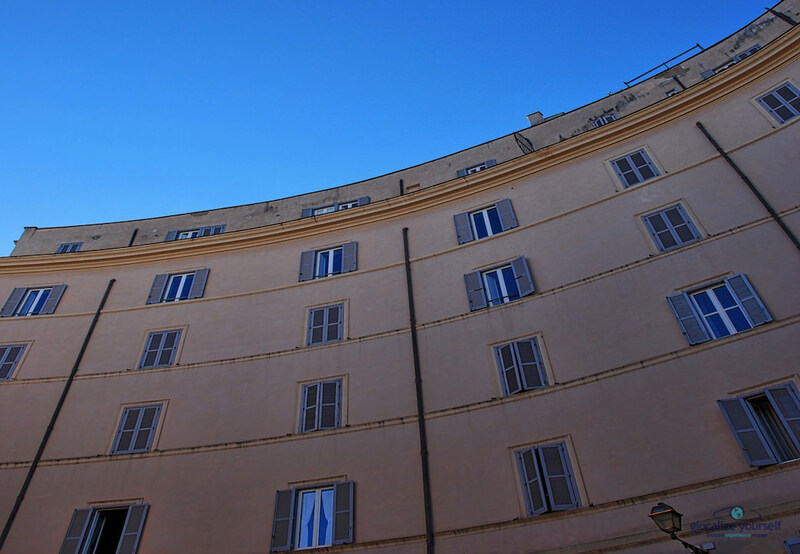 In 2014, the head of the Artistic and Anthropological Heritage for the city of Rome approved the work. The construction was carried out by a team of six people and was directed by Lucifero. It lasted about two years and was recently completed. 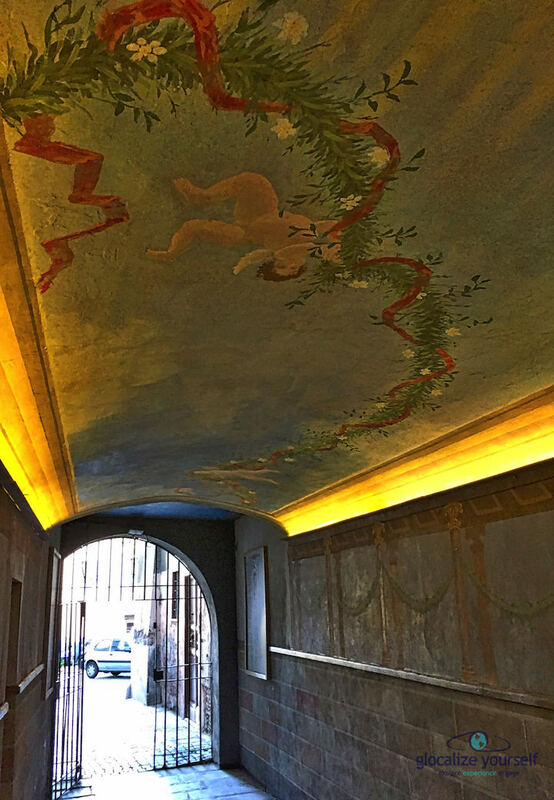 The pathway was completely restored, cleaned, and the plaster and frescoes were redone as well. 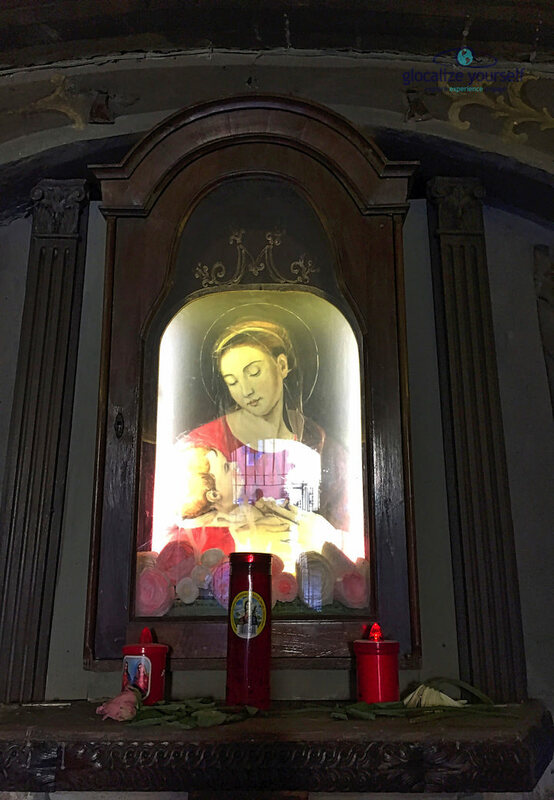 The painting of the Madonna has been revived thanks to a copy made in great detail by the artist Raffaella Curti. 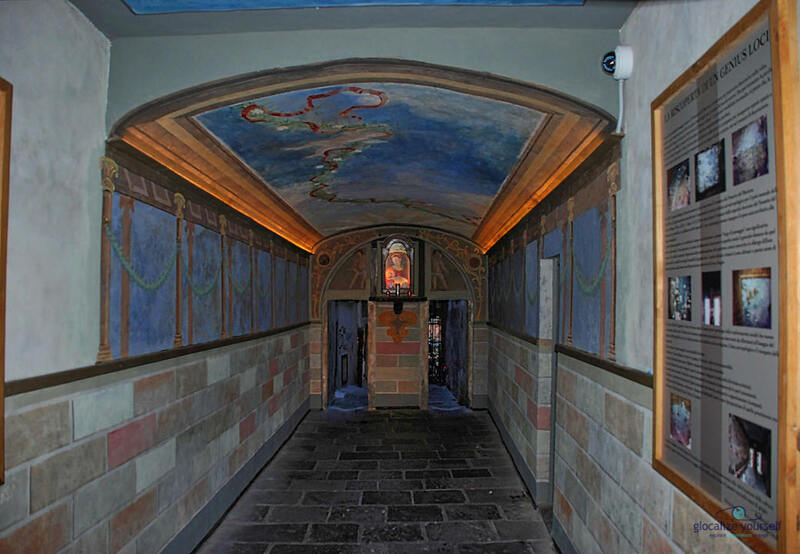 It is also important to remember that a Roman saying is connected to the Passetto del Biscione: “Go look for Mary throughout Rome” because the devotees of the sacred image of the Madonna had to go on a complicated search through the streets of the historic center to find this hidden passageway. There is one last question regarding the name “Biscione”, which has been the name of this area since the 15th century and means “big snake”. It seems that there are two possible reasons for the name. The first is the sigil of the Orsini family, which features an eel, and since their palace was located there, the neighborhood adopted that name. The second suggests that there was a Hosteria run by a family from Milan in that area. On their signs they put a big snake which was the symbol of the Visconti family, who had been the rulers in Milan since 1277. In conclusion, we are very happy that thanks to this restoration project promoting cultural traditions of the city, it is now possible to rediscover a place, which is also the site of great popular interest and devotion. Directions contained in the article.